In Buffy, Cordelia Chase (played by Charisma Carpenter) was a Sunnydale High School sophomore in Season One who was captain of the cheerleading squad and the “Queen Bee” of the school who was the most popular girl and dated the hottest guys. In perhaps cliched ways, she was equal parts mean, sarcastic, and materialistic as a result of having been born into a rich family. In Season Two, she and Xander begin dating partly as a result of her increasing participation in fighting the forces of evil. However, she dumps him when her erstwhile friends make fun of her for dating a so-called “dork.” Later, she turns her back on her friends and goes back to him. Then, in Season Three, she breaks up with Xander again after catching him and Willow kissing when they thought they were going to be killed by Spike. Late in her senior year of high school, her family’s wealth is confiscated by the government because her father had not paid taxes in many years, leaving Cordelia destitute. She takes a job as a sales clerk to be able to afford a prom dress — although Xander helps her in the end by buying it for her without her prior knowledge. 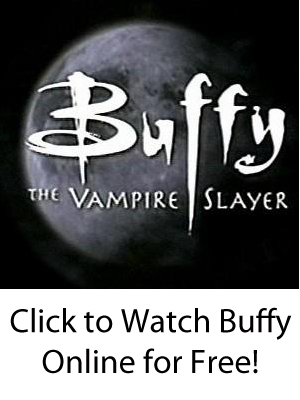 After graduation, she moves to Los Angeles to pursue her dream of becoming an actress (and become a regular on the “Buffy” spin-off “Angel”) and then finds herself joining Angel Investigations to help the vampire-with-a-soul to fight evil there. Over the years, she matures and becomes the heart of the operation. Doyle, a human with the power to connect with The Powers that Be, transfers his ability to Cordelia before he dies, and Cordelia then becomes the main method by which Angel finds out about people who need his help. A few years later, Cordelia is seemingly chosen to ascend to a higher plane of existence just as she and Angel almost start a relationship, but it was in fact a ruse by the goddess Jasmine. Cordelia sleeps with Angel’s son Connor and then falls into a coma after giving birth. Jasmine is born, and she tries to establish peace on earth while devouring humans for food. Angel and company defeat Jasmine, and it turns out that Cordelia had actually died — but not before appearing in spirit form one last time to help Angel in the last season. Does Cordelia’s story continue in the “Buffy Season 8″ and “Buffy Season 9″ comics as well as the “Angel” ones?